Liczba stron: 2609 Jest to ujednolicona liczba stron, która ułatwi Ci porównanie długości książek. Każda strona Legimi to 200 słów. PREFACES TO "LEAVES OF GRASS"
Preface, 1855, to first issue of "Leaves of Grass" Preface, 1872, to "As a Strong Bird on Pinions Free" Preface, 1876, to L. of G. and "Two Rivulets"
WHAT LURKS BEHIND SHAKSPERE'S HISTORICAL PLAYS? Preface to Reader in British Islands Additional Note, 1887 Preface to English Edition "Democratic Vistas"
Down in the Woods, July 2d, 1882.-If I do it at all I must delay no longer. Incongruous and full of skips and jumps as is that huddle of diary-jottings, war-memoranda of 1862-'65, Nature-notes of 1877-'81, with Western and Canadian observations afterwards, all bundled up and tied by a big string, the resolution and indeed mandate comes to me this day, this hour,--(and what a day! What an hour just passing! the luxury of riant grass and blowing breeze, with all the shows of sun and sky and perfect temperature, never before so filling me, body and soul),--to go home, untie the bundle, reel out diary-scraps and memoranda, just as they are, large or small, one after another, into print-pages, and let the melange's lackings and wants of connection take care of themselves. It will illustrate one phase of humanity anyhow; how few of life's days and hours (and they not by relative value or proportion, but by chance) are ever noted. Probably another point, too, how we give long preparations for some object, planning and delving and fashioning, and then, when the actual hour for doing arrives, find ourselves still quite unprepared, and tumble the thing together, letting hurry and crudeness tell the story better than fine work. At any rate I obey my happy hour's command, which seems curiously imperative. May be, if I don't do anything else, I shall send out the most wayward, spontaneous, fragmentary book ever printed. The pages from 1 to 15 are nearly verbatim an off-hand letter of mine in January, 1882, to an insisting friend. Following, I give some gloomy experiences. The war of attempted secession has, of course, been the distinguishing event of my time. I commenced at the close of 1862, and continued steadily through '63, '64 and '65, to visit the sick and wounded of the army, both on the field and in the hospitals in and around Washington city. From the first I kept little note-books for impromptu jottings in pencil to refresh my memory of names and circumstances, and what was specially wanted, &c. In these, I brief'd cases, persons, sights, occurrences in camp, by the bed-side, and not seldom by the corpses of the dead. Some were scratch'd down from narratives I heard and itemized while watching, or waiting, or tending somebody amid those scenes. I have dozens of such little note-books left, forming a special history of those years, for myself alone, full of associations never to be possibly said or sung. I wish I could convey to the reader the associations that attach to these soil'd and creas'd livraisons, each composed of a sheet or two of paper, folded small to carry in the pocket, and fasten'd with a pin. I leave them just as I threw them by after the war, blotch'd here and there with more than one blood-stain, hurriedly written, sometimes at the clinique, not seldom amid the excitement of uncertainty, or defeat, or of action, or getting ready for it, or a march. Most of the pages from 20 to 75 are verbatim copies of those lurid and blood-smuch'd little notebooks. Very different are most of the memoranda that follow. Some time after the war ended I had a paralytic stroke, which prostrated me for several years. In 1876 I began to get over the worst of it. From this date, portions of several seasons, especially summers, I spent at a secluded haunt down in Camden county, New Jersey--Timber creek, quite a little river (it enters from the great Delaware, twelve miles away)--with primitive solitudes, winding stream, recluse and woody banks, sweet-feeding springs, and all the charms that birds, grass, wild-flowers, rabbits and squirrels, old oaks, walnut trees, &c., can bring. Through these times, and on these spots, the diary from page 76 onward was mostly written. The COLLECT afterwards gathers up the odds and ends of whatever pieces I can now lay hands on, written at various times past, and swoops all together like fish in a net. I suppose I publish and leave the whole gathering, first, from that eternal tendency to perpetuate and preserve which is behind all Nature, authors included; second, to symbolize two or three specimen interiors, personal and other, out of the myriads of my time, the middle range of the Nineteenth century in the New World; a strange, unloosen'd, wondrous time. But the book is probably without any definite purpose that can be told in a statement. You ask for items, details of my early life--of genealogy and parentage, particularly of the women of my ancestry, and of its far-back Netherlands stock on the maternal side--of the region where I was born and raised, and my mother and father before me, and theirs before them--with a word about Brooklyn and New York cities, the times I lived there as lad and young man. You say you want to get at these details mainly as the go-befores and embryons of "Leaves of Grass." Very good; you shall have at least some specimens of them all. I have often thought of the meaning of such things--that one can only encompass and complete matters of that kind by 'exploring behind, perhaps very far behind, themselves directly, and so into their genesis, antecedents, and cumulative stages. Then as luck would have it, I lately whiled away the tedium of a week's half-sickness and confinement, by collating these very items for another (yet unfulfilled, probably abandon'd,) purpose; and if you will be satisfied with them, authentic in date-occurrence and fact simply, and told my own way, garrulous-like, here they are. I shall not hesitate to make extracts, for I catch at anything to save labor; but those will be the best versions of what I want to convey. The later years of the last century found the Van Velsor family, my mother's side, living on their own farm at Cold Spring, Long Island, New York State, near the eastern edge of Queen's county, about a mile from the harbor. My father's side--probably the fifth generation from the first English arrivals in New England--were at the same time farmers on their own land--(and a fine domain it was, 500 acres, all good soil, gently sloping east and south, about one-tenth woods, plenty of grand old trees,) two or three miles off, at West Hills, Suffolk county. 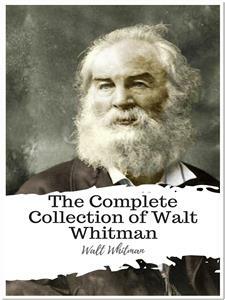 The Whitman name in the Eastern States, and so branch and South, starts undoubtedly from one John Whitman, born 1602, in Old England, where he grew up, married, and his eldest son was born in 1629. He came over in the "True Love" in 1640 to America, and lived in Weymouth, Mass., which place became the mother-hive of the New-Englanders of the name; he died in 1692. His brother, Rev. Zechariah Whitman, also came over in the "True Love," either at that time or soon after, and lived at Milford, Conn. A son of this Zechariah, named Joseph, migrated to Huntington, Long Island, and permanently settled there. Savage's "Genealogical Dictionary" (vol. iv, p. 524) gets the Whitman family establish'd at Huntington, per this Joseph, before 1664. It is quite certain that from that beginning, and from Joseph, the West Hill Whitmans, and all others in Suffolk county, have since radiated, myself among the number. John and Zechariah both went to England and back again divers times; they had large families, and several of their children were born in the old country. We hear of the father of John and Zechariah, Abijah Whitman, who goes over into the 1500's, but we know little about him, except that he also was for some time in America. Long Island was settled first on the west end by the Dutch from Holland, then on the east end by the English--the dividing line of the two nationalities being a little west of Huntington where my father's folks lived, and where I was born. July 29, 1881.--After more than forty years' absence, (except a brief visit, to take my father there once more, two years before he died,) went down Long Island on a week' s jaunt to the place where I was born, thirty miles from New York city. Rode around the old familiar spots, viewing and pondering and dwelling long upon them, every-thing coming back to me. Went to the old Whitman homestead on the upland and took a view eastward, inclining south, over the broad and beautiful farm lands of my grandfather (1780,) and my father. There was the new house (1810,) the big oak a hundred and fifty or two hundred years old; there the well, the sloping kitchen-garden, and a little way off even the well-kept remains of the dwelling of my great-grandfather (1750-'60) still standing, with its mighty timbers and low ceilings. Near by, a stately grove of tall, vigorous black-walnuts, beautiful, Apollo-like, the sons or grandsons, no doubt, of black-walnuts during or before 1776. On the other side of the road spread the famous apple orchard, over twenty acres, the trees planted by hands long mouldering in the grave (my uncle Jesse's,) but quite many of them evidently capable of throwing out their annual blossoms and fruit yet. I now write these lines seated on an old grave (doubtless of a century since at least) on the burial hill of the Whitmans of many generations. Fifty or more graves are quite plainly traceable, and as many more decay'd out of all form--depress'd mounds, crumbled and broken stones, cover'd with moss--the gray and sterile hill, the clumps of chestnuts outside, the silence, just varied by the soughing wind. There is always the deepest eloquence of sermon or poem in any of these ancient graveyards of which Long Island has so many; so what must this one have been to me? My whole family history, with its succession of links, from the first settlement down to date, told here--three centuries concentrate on this sterile acre. The next day, July 30, I devoted to the maternal locality, and if possible was still more penetrated and impress'd. I write this paragraph on the burial hul of the Van Velsors, near Cold Spring, the most significant depository of the dead that could be imagin'd, without the slightest help from art, but far ahead of it, soil sterile, a mostly bare plateau-flat of half an acre, the top of a hill, brush and well grown trees and dense woods bordering all around, very primi-tive, secluded, no visitors, no road (you cannot drive here, you have to bring the dead on foot, and follow on foot.) Two or three-score graves quite plain; as many more almost rubb'd out. My grandfather Cornelius and my grandmother Amy (Naomi) and numerous relatives nearer or remoter, on my mother's side, lie buried here. The scene as I stood or sat, the delicate and wild odor of the woods, a slightly drizzling rain, the emotional atmosphere of the place, and the inferr'd reminiscences, were fitting accompaniments. I went down from this ancient grave place eighty or ninety rods to the site of the Van Velsor homestead, where my mother was born (1795,) and where every spot had been familiar to me as a child and youth (1825-'40.) Then stood there a long rambling, dark-gray, shingle-sided house, with sheds, pens, a great barn, and much open road-space. Now of all those not a vestige left; all had been pull'd down, erased, and the plough and harrow pass'd over foundations, road-spaces and everything, for many summers; fenced in at present, and grain and clover growing like any other fine fields. Only a big hole from the cellar, with some little heaps of broken stone, green with grass and weeds, identified the place. Even the copious old brook and spring seem'd to have mostly dwindled away. The whole scene, with what it arous'd, memories of my young days there half a century ago, the vast kitchen and ample fireplace and the sitting-room adjoining, the plain furniture, the meals, the house full of merry people, my grandmother Amy's sweet old face in its Quaker cap, my grandfather "the Major," jovial, red, stout, with sonorous voice and characteristic physiognomy, with the actual sights themselves, made the most pronounc'd half-day's experience of my whole jaunt. For there with all those wooded, hilly, healthy surroundings, my dearest mother, Louisa Van Velsor, grew up--(her mother, Amy Williams, of the Friends' or Quakers' denomination--the Williams family, seven sisters and one brother--the father and brother sailors, both of whom met their deaths at sea.) The Van Velsor people were noted for fine horses, which the men bred and train'd from blooded stock. My mother, as a young woman, was a daily and daring rider. As to the head of the family himself, the old race of the Netherlands, so deeply grafted on Manhattan island and in Kings and Queens counties, never yielded a more mark'd and full Americanized specimen than Major Cornelius Van Velsor. "The Whitmans, at the beginning of the present century, lived in a long story-and-a-half farm-house, hugely timber'd, which is still standing. A great smoke-canopied kitchen, with vast hearth and chimney, form'd one end of the house. The existence of slavery in New York at that time, and the possession by the family of some twelve or fifteen slaves, house and field servants, gave things quite a patriarchial look. The very young darkies could be seen, a swarm of them, toward sundown, in this kitchen, squatted in a circle on the floor, eating their supper of Indian pudding and milk. In the house, and in food and furniture, all was rude, but substantial. No carpets or stoves were known, and no coffee, and tea or sugar only for the women. Rousing wood fires gave both warmth and light on winter nights. Pork, poultry, beef, and all the ordinary vegetables and grains were plentiful. Cider was the men's common drink, and used at meals. The clothes were mainly homespun. Journeys were made by both men and women on horseback. Both sexes labor'd with their own hands-the men on the farm--the women in the house and around it. Books were scarce. The annual copy of the almanac was a treat, and was pored over through the long winter evenings. I must not forget to mention that both these families were near enough to the sea to behold it from the high places, and to hear in still hours the roar of the surf; the latter, after a storm, giving a peculiar sound at night. Then all hands, male and female, went down frequently on beach and bathing parties, and the men on practical expeditions for cutting salt hay, and for clamming and fishing." --John Burroughs's NOTES. "The ancestors of Walt Whitman, on both the paternal and maternal sides, kept a good table, sustained the hospitalities, decorums, and an excellent social reputation in the county, and they were often of mark'd individuality. If space permitted, I should consider some of the men worthy special description; and still more some of the women. His great-grandmother on the paternal side, for instance, was a large swarthy woman, who lived to a very old age. She smoked tobacco, rode on horseback like a man, managed the most vicious horse, and, becoming a widow in later life, went forth every day over her farm-lands, frequently in the saddle, directing the labor of her slaves, in language in which, on exciting occasions, oaths were not spared. The two immediate grandmothers were, in the best sense, superior women. The maternal one (Amy Williams before marriage) was a Friend, or Quakeress, of sweet, sensible character, house-wifely proclivities, and deeply intuitive and spiritual. The other (Hannah Brush,) was an equally noble, perhaps stronger character, lived to be very old, had quite a family of sons, was a natural lady, was in early life a school-mistress, and had great solidity of mind. W. W. himself makes much of the women of his ancestry." --The Same. Out from these arrieres of persons and scenes, I was born May 31, 1819. And now to dwell awhile on the locality itself--as the successive growth-stages of my infancy, childhood, youth and manhood were all pass'd on Long Island, which I sometimes feel as if I had incorporated. I roam'd, as boy and man, and have lived in nearly all parts, from Brooklyn to Montauk point. Worth fully and particularly investigating indeed this Paumanok, (to give the spot its aboriginal name,) stretching east through Kings, Queens and Suffolk counties, 120 miles altogether--on the north Long Island sound, a beautiful, varied and picturesque series of inlets, "necks" and sea-like expansions, for a hundred miles to Orient point. On the ocean side the great south bay dotted with countless hummocks, mostly small, some quite large, occasionally long bars of sand out two hundred rods to a mile-and-a-half from the shore. While now and then, as at Rockaway and far east along the Hamptons, the beach makes right on the island, the sea dashing up without intervention. Several light-houses on the shores east; a long history of wrecks tragedies, some even of late years. As a youngster, I was in the atmosphere and traditions of many of these wrecks--of one or two almost an observer. Off Hempstead beach for example, was the loss of the ship "Mexico" in 1840, (alluded to in "the Sleepers" in L. of G.) And at Hampton, some years later, the destruction of the brig "Elizabeth," a fearful affair, in one of the worst winter gales, where Margaret Fuller went down, with her husband and child. The eastern end of Long Island, the Peconic bay region, I knew quite well too--sail'd more than once around Shelter island, and down to Montauk--spent many an hour on Turtle hill by the old light-house, on the extreme point, looking out over the ceaseless roll of the Atlantic. I used to like to go down there and fraternize with the blue-fishers, or the annual squads of sea-bass takers. Sometimes, along Montauk peninsula, (it is some 15 miles long, and good grazing,) met the strange, unkempt, half-barbarous herdsmen, at that time living there entirely aloof from society or civilization, in charge, on those rich pasturages, of vast droves of horses, kine or sheep, own'd by farmers of the eastern towns. Sometimes, too, the few remaining Indians, or half-breeds, at that period left on Montauk peninsula, but now I believe altogether extinct. More in the middle of the island were the spreading Hempstead plains, then (1830-'40) quite prairie-like, open, uninhabited, rather sterile, cover'd with kill-calf and huckleberry bushes, yet plenty of fair pasture for the cattle, mostly milch-cows, who fed there by hundreds, even thousands, and at evening, (the plains too were own'd by the towns, and this was the use of them in common,) might be seen taking their way home, branching off regularly in the right places. I have often been out on the edges of these plains toward sundown, and can yet recall in fancy the interminable cow-processions, and hear the music of the tin or copper bells clanking far or near, and breathe the cool of the sweet and slightly aromatic evening air, and note the sunset. Through the same region of the island, but further east, extended wide central tracts of pine and scrub-oak, (charcoal was largely made here,) monotonous and sterile. But many a good day or half-day did I have, wandering through those solitary crossroads, inhaling the peculiar and wild aroma. Here, and all along the island and its shores, I spent intervals many years, all seasons, sometimes riding, sometimes boating, but generally afoot, (I was always then a good walker,) absorbing fields, shores, marine incidents, characters, the bay-men, farmers, pilots-always had a plentiful acquaintance with the latter, and with fishermen--went every summer on sailing trips--always liked the bare sea-beach, south side, and have some of my happiest hours on it to this day. As I write, the whole experience comes back to me after the lapse of forty and more years--the soothing rustle of the waves, and the saline smell--boyhood's times, the clam-digging, bare-foot, and with trowsers roll'd up--hauling down the creek--the perfume of the sedge-meadows--the hay-boat, and the chowder and fishing excursions;--or, of later years, little voyages down and out New York bay, in the pilot boats. Those same later years, also, while living in Brooklyn, (1836-'50) I went regularly every week in the mild seasons down to Coney Island, at that time a long, bare unfrequented shore, which I had all to myself, and where I loved, after bathing, to race up and down the hard sand, and declaim Homer or Shakspere to the surf and sea gulls by the hour. But I am getting ahead too rapidly, and must keep more in my traces. "Paumanok, (or Paumanake, or Paumanack, the Indian name of Long Island,) over a hundred miles long; shaped like a fish--plenty of sea shore, sandy, stormy, uninviting, the horizon boundless, the air too strong for invalids, the bays a wonderful resort for aquatic birds, the south-side meadows cover'd with salt hay, the soil of the island generally tough, but good for the locust-tree, the apple orchard, and the blackberry, and with numberless springs of the sweetest water in the world. Years ago, among the bay-men--a strong, wild race, now extinct, or rather entirely changed--a native of Long Island was called a Paumanacker, or Creole-'Paumanacker." --John Burroughs. "On the visit of General Lafayette to this country, in 1824, he came over to Brooklyn in state, and rode through the city. The children of the schools turn'd out to join in the welcome. An edifice for a free public library for youths was just then commencing, and Lafayette consented to stop on his way and lay the corner-stone. Numerous children arriving on the ground, where a huge irregular excavation for the building was already dug, surrounded with heaps of rough stone, several gentlemen assisted in lifting the children to safe or convenient spots to see the ceremony. Among the rest, Lafayette, also helping the children, took up the five-year-old Walt Whitman, and pressing the child a moment to his breast, and giving him a kiss, handed him down to a safe spot in the excavation." --John Burroughs. After about two years went to work in a weekly newspaper and printing office, to learn the trade. The paper was the "Long Island Patriot," owned by S. E. Clements, who was also postmaster. An old printer in the office, William Hartshorne, a revolutionary character, who had seen Washington, was a special friend of mine, and I had many a talk with him about long past times. The apprentices, including myself, boarded with his grand-daughter. I used occasionally to go out riding with the boss, who was very kind to us boys; Sundays he took us all to a great old rough, fortress-looking stone church, on Joralemon street, near where the Brooklyn city hall now is--(at that time broad fields and country roads everywhere around.) Afterward I work'd on the "Long Island Star," Alden Spooner's paper. My father all these years pursuing his trade as carpenter and builder, with varying fortune. There was a growing family of children--eight of us--my brother Jesse the oldest, myself the second, my dear sisters Mary and Hannah Louisa, my brothers Andrew, George, Thomas Jefferson, and then my youngest brother, Edward, born 1835, and always badly crippled, as I am myself of late years. Of the Brooklyn of that time (1830-40) hardly anything remains, except the lines of the old streets. The population was then between ten and twelve thousand. For a mile Fulton street was lined with magnificent elm trees. The character of the place was thoroughly rural. As a sample of comparative values, it may be mention'd that twenty-five acres in what is now the most costly part of the city, bounded by Flatbush and Fulton avenues, were then bought by Mr Parmentier, a French emigré, for $4000. Who remembers the old places as they were? Who remembers the old citizens of that time? Among the former were Smith & Wood's, Coe Downing's, and other public houses at the ferry, the old Ferry itself, Love lane, the Heights as then, the Wallabout with the wooden bridge, and the road out beyond Fulton street to the old toll-gate. Among the latter were the majestic and genial General Jeremiah Johnson, with others, Gabriel Furman, Rev. E. M. Johnson, Alden Spooner, Mr. Pierrepont, Mr. Joralemon, Samuel Willoughby, Jonathan Trotter, George Hall, Cyrus P. Smith, N. B. Morse, John Dikeman, Adrian Hegeman, William Udall, and old Mr. Duflon, with his military garden. I develop'd (1833-4-5) into a healthy, strong youth (grew too fast, though, was nearly as big as a man at 15 or 16.) Our family at this period moved back to the country, my dear mother very ill for a long time, but recover'd. All these years I was down Long Island more or less every summer, now east, now west, sometimes months at a stretch. At 16, 17, and so on, was fond of debating societies, and had an active membership with them, off and on, in Brooklyn and one or two country towns on the island. A most omnivorous novel-reader, these and later years, devour'd everything I could get. Fond of the theatre, also, in New York, went whenever I could--sometimes witnessing fine performances. 1836-7, work'd as compositor in printing offices in New York city. Then, when little more than 18, and for a while afterwards, went to teaching country schools down in Queens and Suffolk counties, Long Island, and "boarded round." (This latter I consider one of my best experiences and deepest lessons in human nature behind the scenes and in the masses.) In '39, '40, I started and publish'd a weekly paper in my native town, Huntington. Then returning to New York city and Brooklyn, work'd on as printer and writer, mostly prose, but an occasional shy at "poetry". Living in Brooklyn or New York city from this time forward, my life, then, and still more the following years, was curiously identified with Fulton ferry, already becoming the greatest of its sort in the world for general importance, volume, variety, rapidity, and picturesqueness. Almost daily, later, ('50 to '60,) I cross'd on the boats, often up in the pilot-houses where I could get a full sweep, absorbing shows, accompaniments, surroundings. What oceanic currents, eddies, underneath--the great tides of humanity also, with ever-shifting movements. Indeed, I have always had a passion for ferries; to me they afford inimitable, streaming, never-failing, living poems. The river and bay scenery, all about New York island, any time of a fine day--the hurrying, splashing sea-tides--the changing panorama of steamers, all sizes, often a string of big ones outward bound to distant ports--the myriads of white-sail'd schooners, sloops, skiffs, and the marvellously beautiful yachts--the majestic sound boats as they rounded the Battery and came along towards 5, afternoon, eastward bound--the prospect off towards Staten Island, or down the Narrows, or the other way up the Hudson--what refreshment of spirit such sights and experiences gave me years ago (and many a time since.) My old pilot friends, the Balsirs, Johnny Cole, Ira Smith, William White, and my young ferry friend, Tom Gere--how well I remember them all. Besides Fulton ferry, off and on for years, I knew and frequented Broadway--that noted avenue of New York's crowded and mixed humanity, and of so many notables. Here I saw, during those times, Andrew Jackson, Webster, Clay, Seward, Martin Van Buren, filibuster Walker, Kossuth, Fitz Greene Halleck, Bryant, the Prince of Wales, Charles Dickens, the first Japanese ambassadors, and lots of other celebrities of the time. Always something novel or inspiriting; yet mostly to me the hurrying and vast amplitude of those never-ending human currents. I remember seeing James Fenimore Cooper in a court-room in Chambers street, back of the city hall, where he was carrying on a law case--(I think it was a charge of libel he had brought against some one.) I also remember seeing Edgar A. Poe, and having a short interview with him, (it must have been in 1845 or '6,) in his office, second story of a corner building, (Duane or Pearl street.) He was editor and owner or part owner of "the Broadway Journal." The visit was about a piece of mine he had publish'd. Poe was very cordial, in a quiet way, appear'd well in person, dress, &c. I have a distinct and pleasing remembrance of his looks, voice, manner and matter; very kindly and human, but subdued, perhaps a little jaded. For another of my reminiscences, here on the west side, just below Houston street, I once saw (it must have been about 1832, of a sharp, bright January day) a bent, feeble but stout-built very old man, bearded, swathed in rich furs, with a great ermine cap on his head, led and assisted, almost carried, down the steps of his high front stoop (a dozen friends and servants, emulous, carefully holding, guiding him) and then lifted and tuck'd in a gorgeous sleigh, envelop'd in other furs, for a ride. The sleigh was drawn by as fine a team of horses as I ever saw. (You needn't think all the best animals are brought up nowadays; never was such horseflesh as fifty years ago on Long Island, or south, or in New York city; folks look'd for spirit and mettle in a nag, not tame speed merely.) Well, I, a boy of perhaps 13 or 14, stopp'd and gazed long at the spectacle of that fur-swathed old man, surrounded by friends and servants, and the careful seating of him in the sleigh. I remember the spirited, champing horses, the driver with his whip, and a fellow-driver by his side, for extra prudence. The old man, the subject of so much attention, I can almost see now. It was John Jacob Astor. The years 1846, '47, and there along, see me still in New York City, working as writer and printer, having my usual good health, and a good time generally. One phase of those days must by no means go unrecorded--namely, the Broadway omnibuses, with their drivers. And certain actors and singers, had a good deal to do with the business. All through these years, off and on, I frequented the old Park, the Bowery, Broadway and Chatham-square theatres, and the Italian operas at Chambers-street, Astor-place or the Battery--many seasons was on the free list, writing for papers even as quite a youth. The old Park theatre--what names, reminiscences, the words bring back! Placide, Clarke, Mrs. Vernon, Fisher, Clara F., Mrs. Wood, Mrs. Seguin, Ellen Tree, Hackett, the younger Kean, Macready, Mrs. Richardson, Rice--singers, tragedians, comedians. What perfect acting! Henry Placide in "Napoleon's Old Guard" or "Grandfather Whitehead,"--or "the Provoked Husband" of Gibber, with Fanny Kemble as Lady Townley--or Sheridan Knowles in his own "Virginius"--or inimitable Power in "Born to Good Luck." These, and many more, the years of youth and onward. Fanny Kemble--name to conjure up great mimic scenes withal--perhaps the greatest. I remember well her rendering of Bianca in "Fazio," and Marianna in "the Wife." Nothing finer did ever stage exhibit--the veterans of all nations said so, and my boyish heart and head felt it in every minute cell. The lady was just matured, strong, better than merely beautiful, born from the footlights, had had three years' practice in London and through the British towns, and then she came to give America that young maturity and roseate power in all their noon, or rather forenoon, flush. It was my good luck to see her nearly every night she play'd at the old Park--certainly in all her principal characters. I heard, these years, well render'd, all the Italian and other operas in vogue, "Sonnambula," "the Puritans," "Der Freischutz," "Huguenots," "Fille d'Regiment," "Faust," "Etoile du Nord," "Poliuto," and others. Verdi's "Ernani," "Rigoletto," and "Trovatore," with Donnizetti's "Lucia" or "Favorita" or "Lucrezia," and Auber's "Massaniello," or Rossini's "William Tell" and "Gazza Ladra," were among my special enjoyments. I heard Alboni every time she sang in New York and vicinity--also Grisi, the tenor Mario, and the baritone Badiali, the finest in the world. In 1848, '49, I was occupied as editor of the "daily Eagle" newspaper, in Brooklyn. The latter year went off on a leisurely journey and working expedition (my brother Jeff with me) through all the middle States, and down the Ohio and Mississippi rivers. Lived awhile in New Orleans, and work'd there on the editorial staff of "daily Crescent" newspaper. After a time plodded back northward, up the Mississippi, and around to, and by way of the great lakes, Michigan, Huron, and Erie, to Niagara falls and lower Canada, finally returning through central New York and down the Hudson; traveling altogether probably 8,000 miles this trip, to and fro. '51, '53, occupied in house-building in Brooklyn. (For a little of the first part of that time in printing a daily and weekly paper, "the Freeman.") '55, lost my dear father this year by death. Commenced putting "Leaves of Grass" to press for good, at the job printing office of my friends, the brothers Rome, in Brooklyn, after many MS. doings and undoings--(I had great trouble in leaving out the stock "poetical" touches, but succeeded at last.) I am now (1856-'7) passing through my 37th year. To sum up the foregoing from the outset (and, of course, far, far more unrecorded,) I estimate three leading sources and formative stamps to my own character, now solidified for good or bad, and its subsequent literary and other outgrowth--the maternal nativity-stock brought hither from far-away Netherlands, for one, (doubtless the best)--the subterranean tenacity and central bony structure (obstinacy, wilfulness) which I get from my paternal English elements, for another--and the combination of my Long Island birth-spot, sea-shores, childhood's scenes, absorptions, with teeming Brooklyn and New York --with, I suppose, my experiences afterward in the secession outbreak, for the third. For, in 1862, startled by news that my brother George, an officer in the 51st New York volunteers, had been seriously wounded (first Fredericksburg battle, December 13th,) I hurriedly went down to the field of war in Virginia. But I must go back a little. News of the attack on fort Sumter and the flag at Charleston harbor, S. C., was receiv'd in New York city late at night (13th April, 1861,) and was immediately sent out in extras of the newspapers. I had been to the opera in Fourteenth street that night, and after the performance was walking down Broadway toward twelve o'clock, on my way to Brooklyn, when I heard in the distance the loud cries of the newsboys, who came presently tearing and yelling up the street, rushing from side to side even more furiously than usual. I bought an extra and cross'd to the Metropolitan hotel (Niblo's) where the great lamps were still brightly blazing, and, with a crowd of others, who gather'd impromptu, read the news, which was evidently authentic. For the benefit of some who had no papers, one of us read the telegram aloud, while all listen'd silently and attentively. No remark was made by any of the crowd, which had increas'd to thirty or forty, but all stood a minute or two, I remember, before they dispers'd. I can almost see them there now, under the lamps at midnight again. Even after the bombardment of Sumter, however, the gravity of the revolt, and the power and will of the slave States for a strong and continued military resistance to national authority, were not at all realized at the North, except by a few. Nine-tenths of the people of the free States look'd upon the rebellion, as started in South Carolina, from a feeling one-half of contempt, and the other half composed of anger and incredulity. It was not thought it would be join'd in by Virginia, North Carolina, or Georgia. A great and cautious national official predicted that it would blow over "in sixty days," and folks generally believ'd the prediction. I remember talking about it on a Fulton ferry-boat with the Brooklyn mayor, who said he only "hoped the Southern fire-eaters would commit some overt act of resistance, as they would then be at once so effectually squelch'd, we would never hear of secession again--but he was afraid they never would have the pluck to really do anything." I remember, too, that a couple of companies of the Thirteenth Brooklyn, who rendezvou'd at the city armory, and started thence as thirty days' men, were all provided with pieces of rope, conspicuously tied to their musket-barrels, with which to bring back each man a prisoner from the audacious South, to be led in a noose, on our men's early and triumphant return! All this sort of feeling was destin'd to be arrested and revers'd by a terrible shock--the battle of first Bull Run--certainly, as we now know it, one of the most singular fights on record. (All battles, and their results, are far more matters of accident than is generally thought; but this was throughout a casualty, a chance. Each side supposed it had won, till the last moment. One had, in point of fact, just the same right to be routed as the other. By a fiction, or series of fictions, the national forces at the last moment exploded in a panic and fled from the field.) The defeated troops commenced pouring into Washington over the Long Bridge at daylight on Monday, 22d--day drizzling all through with rain. The Saturday and Sunday of the battle (20th, 21st,) had been parch'd and hot to an extreme--the dust, the grime and smoke, in layers, sweated in, follow'd by other layers again sweated in, absorb'd by those excited souls--their clothes all saturated with the clay-powder filling the air--stirr'd up everywhere on the dry roads and trodden fields by the regiments, swarming wagons, artillery, &c.--all the men with this coating of murk and sweat and rain, now recoiling back, pouring over the Long Bridge--a horrible march of twenty miles, returning to Washington baffed, humiliated, panic-struck. Where are the vaunts, and the proud boasts with which you went forth? Where are your banners, and your bands of music, and your ropes to bring back your prisoners? Well, there isn't a band playing--and there isn't a flag but clings ashamed and lank to its staff. The sun rises, but shines not. The men appear, at first sparsely and shame-faced enough, then thicker, in the streets of Washington --appear in Pennsylvania avenue, and on the steps and basement entrances. They come along in disorderly mobs, some in squads, stragglers, companies. Occasionally, a rare regiment, in perfect order, with its officers (some gaps, dead, the true braves,) marching in silence, with lowering faces, stern, weary to sinking, all black and dirty, but every man with his musket, and stepping alive; but these are the exceptions. Sidewalks of Pennsylvania avenue, Fourteenth street, &c., crowded, jamm'd with citizens, darkies, clerks, everybody, lookers-on; women in the windows, curious expressions from faces, as those swarms of dirt-cover'd return'd soldiers there (will they never end?) move by; but nothing said, no comments; (half our lookers-on secesh of the most venomous kind--they say nothing; but the devil snickers in their faces.) During the forenoon Washington gets all over motley with these defeated soldiers--queer-looking objects, strange eyes and faces, drench'd (the steady rain drizzles on all day) and fearfully worn, hungry, haggard, blister'd in the feet. Good people (but not over-many of them either,) hurry up something for their grub. They put wash-kettles on the fire, for soup, for coffee. They set tables on the side-walks--wagon-loads of bread are purchas'd, swiftly cut in stout chunks. Here are two aged ladies, beautiful, the first in the city for culture and charm, they stand with store of eating and drink at an improvis'd table of rough plank, and give food, and have the store replenished from their house every half-hour all that day; and there in the rain they stand, active, silent, white-hair'd, and give food, though the tears stream down their cheeks, almost without intermission, the whole time. Amid the deep excitement, crowds and motion, and desperate eagerness, it seems strange to see many, very many, of the soldiers sleeping--in the midst of all, sleeping sound. They drop down anywhere, on the steps of houses, up close by the basements or fences, on the sidewalk, aside on some vacant lot, and deeply sleep. A poor 17 or 18 year old boy lies there, on the stoop of a grand house; he sleeps so calmly, so profoundly. Some clutch their muskets firmly even in sleep. Some in squads; comrades, brothers, close together--and on them, as they lay, sulkily drips the rain. But the hour, the day, the night pass'd, and whatever returns, an hour, a day, a night like that can never again return. The President, recovering himself, begins that very night--sternly, rapidly sets about the task of reorganizing his forces, and placing himself in positions for future and surer work. If there were nothing else of Abraham Lincoln for history to stamp him with, it is enough to send him with his wreath to the memory of all future time, that he endured that hour, that day, bitterer than gall--indeed a crucifixion day--that it did not conquer him--that he unflinchingly stemm'd it, and resolv'd to lift himself and the Union out of it. Then the great New York papers at once appear'd, (commencing that evening, and following it up the next morning, and incessantly through many days afterwards,) with leaders that rang out over the land with the loudest, most reverberating ring of clearest bugles, full of encouragement, hope, inspiration, unfaltering defiance; Those magnificent editorials! they never flagg'd for a fortnight. The "Herald" commenced them--I remember the articles well. The "Tribune" was equally cogent and inspiriting--and the "Times," "Evening Post," and other principal papers, were not a whit behind. They came in good time, for they were needed. For in the humiliation of Bull Run, the popular feeling north, from its extreme of superciliousness, recoil'd to the depth of gloom and apprehension.